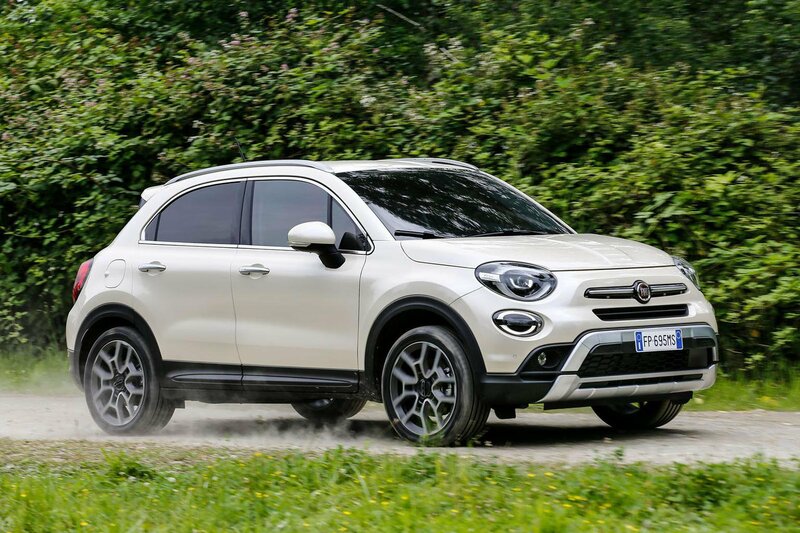 2018 Fiat 500X review - price, specs and release date | What Car? Remember when it seemed like almost every manufacturer was clamouring to board the retro train? From mainstream brands right up to manufacturers of luxury cars, everyone seemed to have at least one olde worlde model in their books. Of course, as tastes changed, the retro fad started to fade away, at least for most brands. 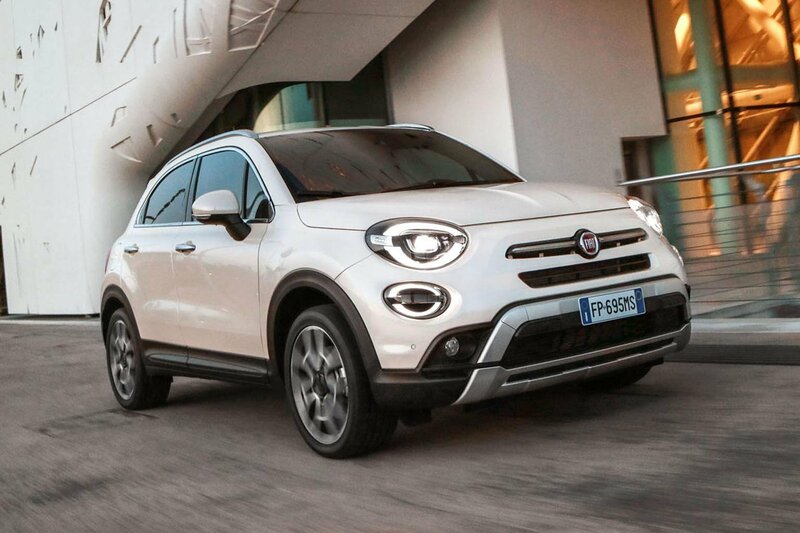 But there’s always at least one exception to the rule, and the one we’re looking at here is the Fiat 500X. Starting with the 500 city car, Fiat added an MPV and, more wisely, this small SUV to its popular retro-styled sub-brand in 2015. But after being on sale for three years, it was time for the 500X to get a bit of a spruce-up. Although we could go into the entirely predictable new infotainment system, paint colours, alloy wheel designs, bumpers and lights, most of the money has been spent under the curvaceous bonnet. While the old 1.6-litre petrol engine soldiers on with a few changes to get it through the latest emissions tests, it’s joined by a pair of new turbocharged petrol units. First up is a 1.0-litre three-cylinder motor that’s hooked up to a six-speed manual gearbox. Although on paper it’s only 10bhp up on the old 1.6, it promises to be a lot more flexible. At the top of the range is a 1.3-litre four-cylinder unit with a healthy 148bhp that comes equipped with a six-speed dual-clutch automatic gearbox. If you prefer your SUVs diesel powered, you’re out of luck. 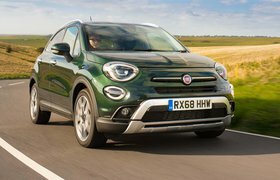 With the fuel falling out of favour with buyers, diesel versions of the 500X are no longer available. There’s no longer a four-wheel drive option, either. Fire up the new 1.0-litre engine and you’ll almost certainly be impressed with how smooth it feels. Although you’re aware of its odd cylinder count from its thrummy soundtrack, vibrations are kept to a minimum and it has hushed cruising manners. However, it never feels as muscular as the similarly powerful 1.0-litre engine you’ll find under the bonnet of the Seat Arona. Explore the upper reaches of the 500X's rev range and performance is adequate with two on board but nothing more. There’s also a noticeable delay between you putting your foot down and the engine delivering power, even if you’ve got it revving in its sweet spot. In essence, it’s fine if you’re in no rush or spend most of your life pottering around town. So, what of the more powerful 1.3-litre turbo? It certainly feels more potent and would no doubt cope with five adults or a particularly large DIY haul much more easily. 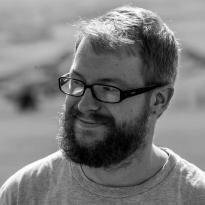 Thanks to its even cylinder count, it’s even smoother to boot. However, this engine is all but ruined by the dim-witted auto ‘box with which it's exclusively paired. You have to push the accelerator pedal down a long way before it’ll kick down for urgent acceleration and even then, it’ll make you wait, pausing between each downshift before the engine starts to pick up. This is not only frustrating but can also feel borderline scary if you’re trying to overtake a slower car. Thankfully, you can help matters by using the steering wheel-mounted paddle shifters to change down in preparation, leaving only the soggy throttle response to deal with. The gearbox is also much better when the car is being driven sedately, shifting gears smoothly for relaxed progress. Fiat hasn’t fiddled with the suspension of the 500X, so don’t expect it to ride or corner any differently. That means it’s comfier than many rivals around town if you stick to smaller wheels, but as speeds increase, you’ll find it fidgeting noticeably even on smooth roads. While the suspension soaks up bumps fairly well, it’s rather noisy in its operation, too. If you’re hoping for some Italian brio in corners, you might be disappointed. It certainly grips well and the nicely weighted steering makes it easy to place the 500X where you want it on the road. Push harder and you’ll find it leans over noticeably and never feels fun. If you want a little SUV that’s fun on twisty roads, the Kia Stonic is a much better bet. 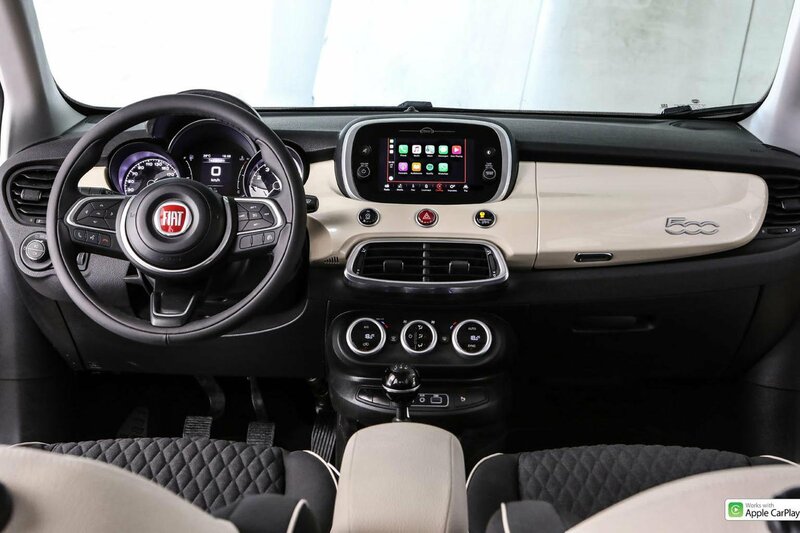 All versions of the 500X come with a 7.0in touchscreen infotainment system with Apple CarPlay and Android Auto. Sat-nav is standard only on the top-spec Cross Plus, but considering you can use Google Maps or Apple Maps through your smartphone, you’re not really missing out on anything. While the new infotainment system isn’t the worst out there, it can be a bit slow to respond to inputs at times, while the on-screen shortcut buttons are a bit small. At least the graphics are decently sharp and the screen is mounted high on the dashboard, so you don't have to look down to operate it. Although there are some new fabrics and a fresh steering wheel inside, the interior is much the same as before. It’s certainly not the worst for quality, with a decent selection of squidgy plastics, but it doesn’t feel quite as solid as the interior of the Arona and is way behind that of the plush Audi Q2. As for the 500X's space and practicality, have a look at our 16-point review for the lowdown.